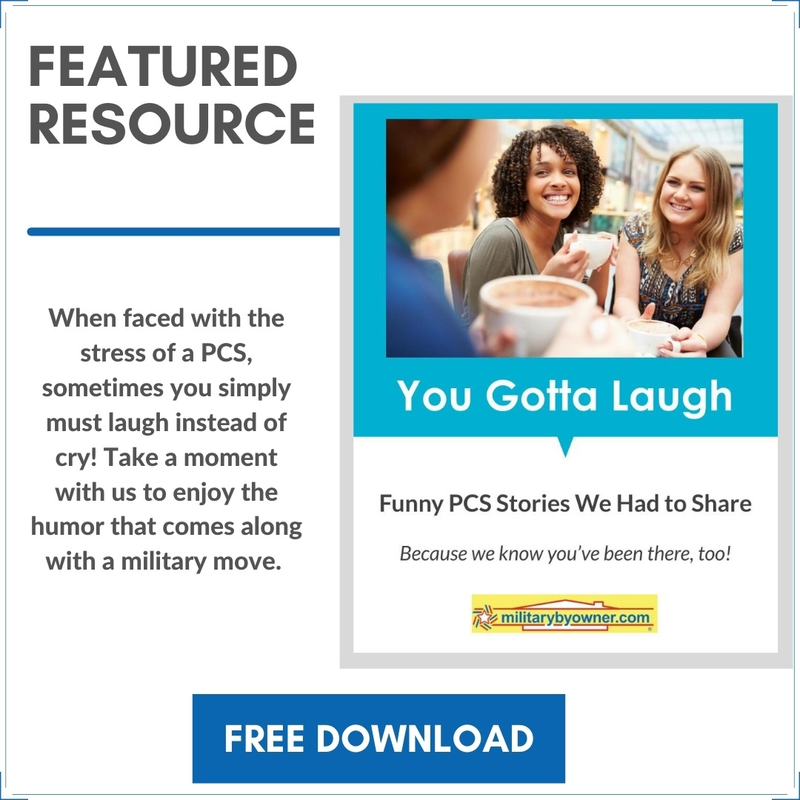 Though the traditional summer military moving season is winding down, we here at MilitaryByOwner know that any time of year can be PCS season for a military family! Have you checked out the series of four FREE PCS e-books that we've recently published to help you through each stage of your move? Has the moving van left and the PCS "dust" settled? We don't leave you hanging! Bloom Where PCS Plants You walks you through arrival and early days at your new assignment. With reminders and handy checklists for the week before the move, moving day, and arrival at your new home, MilitaryByOwner makes sure you don't forget anything important. Do you have a funny moving story? Every military family has at least one "I can't believe that just happened!" moving memory and we're sharing ours. We hope you'll take a moment or two from unpacking boxes to pour yourself a favorite beverage, relax, and share in a laugh or two with us with You Gotta Laugh! Funny PCS Stories that We Had to Share! We hope you enjoy this FREE e-book series as much as we enjoyed putting it together for you. Please share them with your friends and remember, we'd love to hear your military move stories, too!